When I finish a big project, I always wonder how much we spent. I keep a running tally in my head, but stuff always comes up during the process and my head count is not completely accurate. 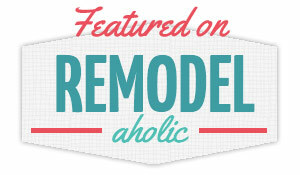 I decided to break down all of the costs we encountered during our recent guest bathroom renovation, just in case you're considering doing something similar. I definitely think it's possible to achieve a high end look on a fairly low budget! Along the way, we replaced the floor, vanity and toilet. We added some bead board and a strip of accent penny tile. We painted the walls and window, replaced the baseboards and relocated the existing lights. We also added two new recessed lights to brighten everything up. We definitely saved ourselves some important dinero by leaving the bathtub and shower surround intact. Thank goodness! Anyway, back to the bathroom! The most expensive part was the vanity (Montaigne Double Vanity from Home Decorators Collection). We caught a break because it was 50% off when we bought it, bringing the tally to $500. But then we had to pay $150 in shipping. 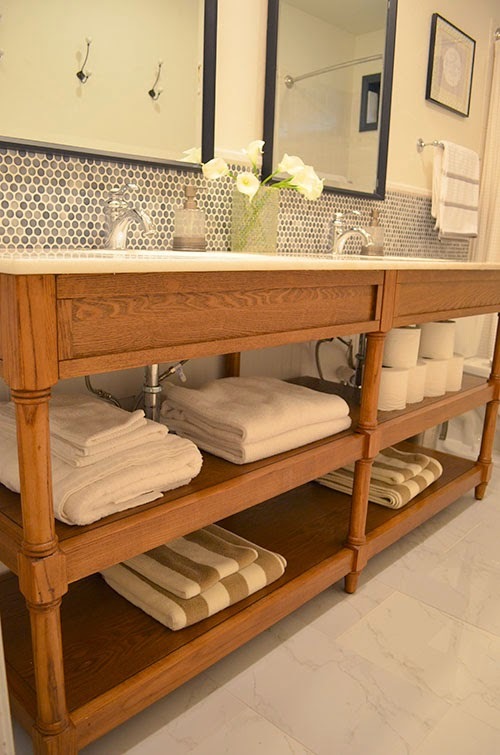 Yet, that $650 was still $350 less than the exact same vanity costs at Home Depot. I'm totally happy with spending that much because I feel like the vanity totally makes the bathroom! We started out with a general budget of $2,000, so we were pretty excited about what we ended up spending. 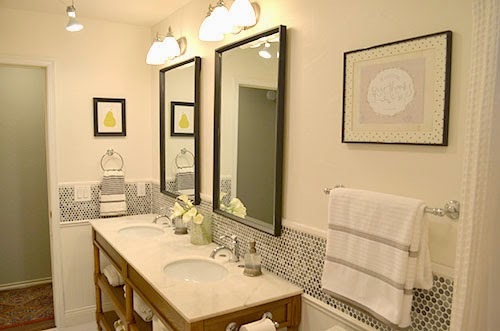 We expected to spend more on the vanity and tile, so it really helped our bottom line when we shopped around and got good prices for those. 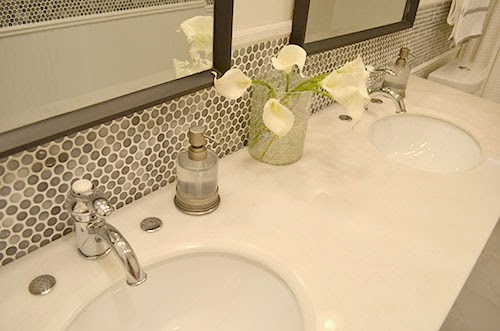 You can't beat $3/square foot for backsplash tile! We kept these existing items to save some cash, and I designed the room concept with these in mind. That way all of our new choices would blend nicely with the stuff we wanted to salvage. Of course we also saved some labor costs by doing the tile, electrical, trim work, etc. ourselves. 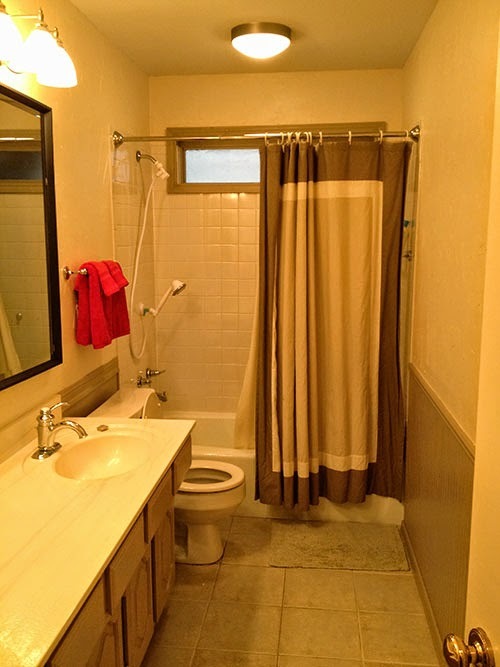 We did shell out cash for a professional plumber and a painter, but we bundled the cost of painting the bathroom with the kitchen cabinet project, so it was much cheaper than if we had painted the bathroom by itself. As we spent money on each little part, we kept reminding ourselves that we would see a high return on investment for this money. Kitchens and bathrooms sell houses, and this bathroom was the worst and most dated part of the house. 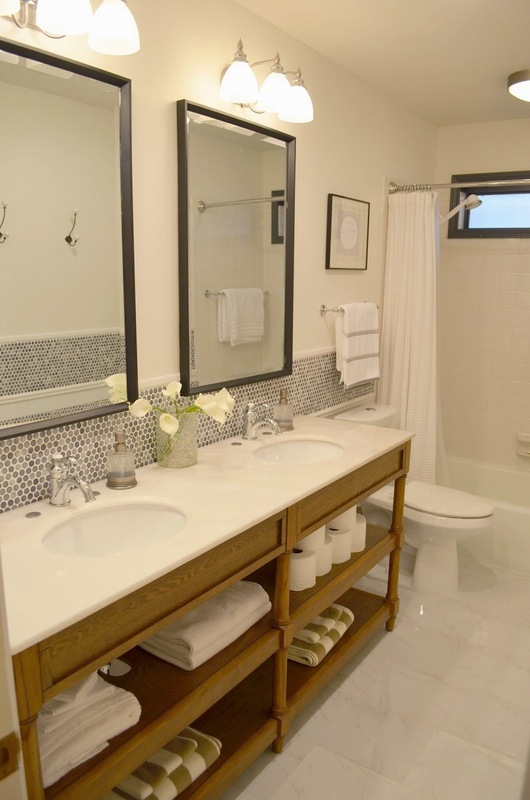 And when we thought about our three guest bedrooms sharing this one bathroom, we thought it was important to make the space as nice as possible (within reason). My parents, who are definitely our most frequent guests, couldn't be happier about "their" new bathroom. My dad helped Scott do the tile, so he even has some sweat equity involved. They were here for Easter and thoroughly enjoyed the higher vanity height (they're both tall) and the increased lighting. They kept talking about how light and bright it was. My mom said it was "master bathroom worthy." We put a lot of effort into it, so it was nice to hear the positive reviews! So what do you think, is $1,500 a lot for a bathroom makeover? I don't really think so, but what do I know? We haven't worked on that many bathrooms. Did you think we spent more or less? It can be weird to talk so freely about money, but I think it's important to keep it real and transparent around here!